Generally, the best frames are made by lesser known designers. 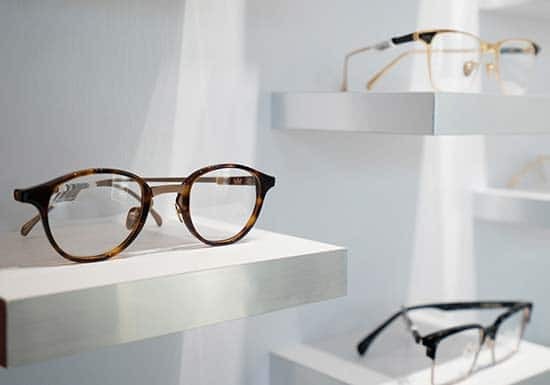 As a result, we look around the world in search of these designers to bring you the best eyewear in terms of quality and style. The majority of our frames are made out of the highest quality acetate, making them extremely durable yet lightweight. 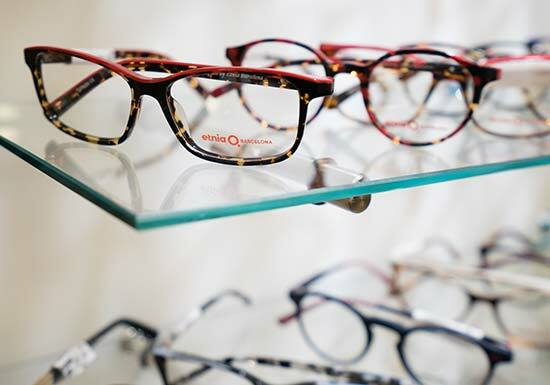 All of our frames are hand-picked with the express focus on our three cornerstones of Quality, Fit, and a balanced Price. 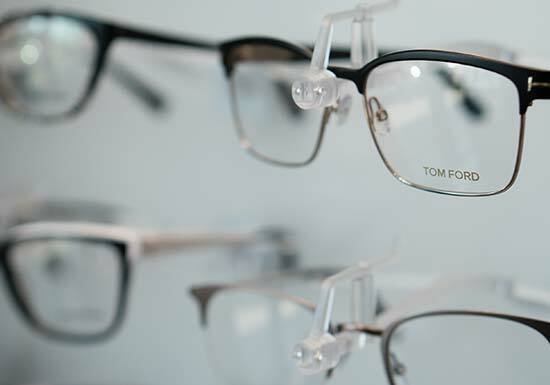 At All Eye Care Doctors, we understand that your eyeglasses not only help restore your vision, but they also say a lot about your personal style. This is why we work one-on-one with our customers to help them select frames that complement their features and fit their lifestyle. 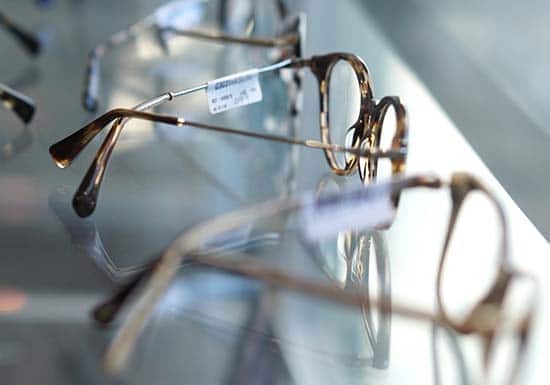 Our selection of frames ranges from classical to fashion forward styles – there’s a frame for every style and look. We stand by the quality of our frames and warranty most of them for a year. If your frame breaks, we will try to repair it at no charge. If it is not repairable, we will get you a new one or have you choose another that is of similar or equal quality if your frame is part of a limited collection. We will always be here to help you and your family with all your eye care needs. Learn more about our superior lenses! These qualities make us a preferred choice for all eyewear needs in many communities around the greater Boston areas. Visit us at one of our convenient locations in Medford MA at the border line with Somerville MA, and Cambridge MA in Porter Square. *Applies to original purchase only. Does not cover accidental damage, scratches, breakage or theft. All ic! Berlin frames are laser cut and handmade in Berlin, Germany, taking over 70 hours per frame to assemble. They are extremely durable – constructed from a lightweight surgical stainless steel and reinforced by a unique, patented screwless system, making these frames are practically indestructible. In addition, they all have elongated nose pads for maximum comfort and a bold, lasting color through Physical Vapor Deposition, a vacuum-based coating process. Moreover, all of the brand’s sunglasses are made of a lightweight, durable plastic that fully protect your eyes from the sun’s harmful UV rays for maximum coverage. Constructed from high quality acetate, Tom Ford frames are handmade with care and style in mind. With 18 karat gold on the hinges, these frames are designed to give off a luxuriant yet professional look for anyone looking to upgrade their appearance. Looking for a pop of color? Look no further than Etnia Barcelona frames; these fashionable frames are well known for their loud and vibrant hues and inspiration from art and culture. These frames are made with a 100% natural acetate, ensuring comfort for all its wearers. Created from top quality materials straight from Italy, Gigi Barcelona frames are for those that wish to be avant-garde trendsetters. 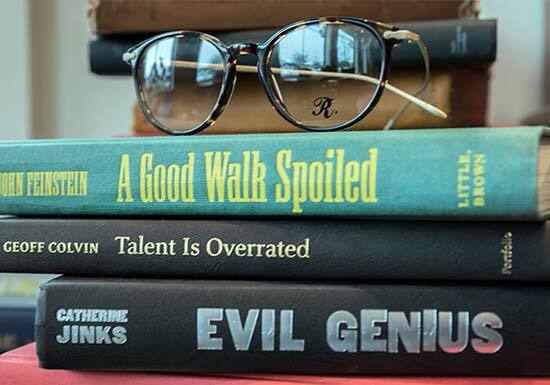 Inspired by the art, cinema, and music of the past decades, these frames give off a distinctive vintage vibe, full of character. 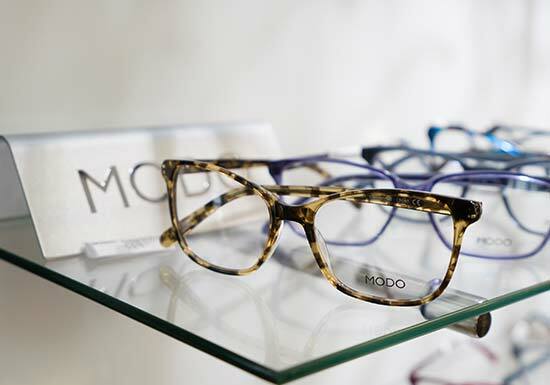 MODO eyewear combines both social responsibility and purpose with style; since the brand’s creation in 1990, its focus on sustainability has been an innovative influence on the eyewear market. These frames are made of 95% recycled content, and the brand actively promotes initiatives, such as planting a tree for every frame a customer purchases or by giving eyewear to those in need. This Australian-born brand focuses on high-end, fashion forward professional eyewear, constructed and handcrafted in Italy, using premium materials. Though relatively a new designer brand in the market, every frame starts with a hand drawn sketch, drawing back on their artisanal roots of inspiration. As a Somerville MA native, Todd Rogers’ frames push the envelope on style, having very high quality, fashion forward designs and constructed in Japan. These frames push the boundaries of normal eyewear and experiment with all sizes and shapes. We haven’t forgotten about our younger patients at All Eye Care Doctors! Come, browse our selection of specialty kids frames (budget, fashion, and designer), designed to comfortably fit young wearers of all ages. 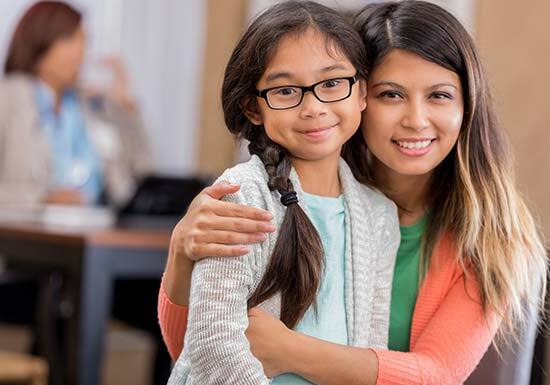 Kids often need specialty prescription eye glasses and lenses that not only fit their personal style but also that they can use for school and sports to keep up with their active lifestyle. Schedule an appointment with All Eye Care Doctors online or by calling us at 781.393.5367 or 857.600.0701 today. We are located in Wellington Circle in Medford MA only a few minutes from Wellington T stop and in Porter Square in Cambridge MA right next to the red line. Parking is available at both locations! Give us a call today, and get the prescription eyewear, contact lenses, or any other eye care services you and your family deserve. Locally owned by passionate eye doctors, we do everything possible to personalize your experience with us – you’re not a number here! We are a team of highly qualified doctors specialized in ocular diseases with extensive clinical experience. Our clinic is one of the few private practices that is qualified to partner with New England College of Optometry as an exemplary facility to train upcoming Optometry Doctors! 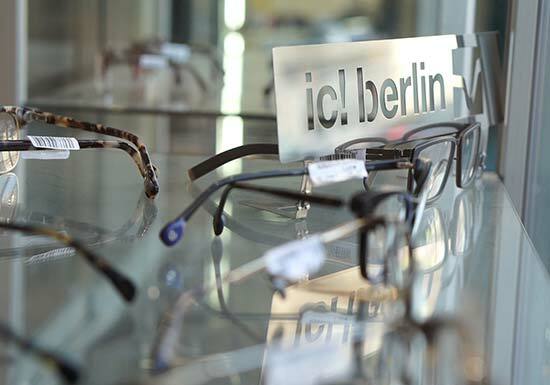 Our opticians are experts in fitting you with the best eyewear in terms of quality and style and will go over the latest technologies in lenses for your specific vision needs. We are conveniently located in Wellington Circle in Medford only a few minutes from Wellington orange line and in Porter Square in Cambridge right next to the red line. Parking is available at both locations! While we highly recommend that you make an appointment beforehand, we understand that sometimes making an appointment is not possible, so we also welcome walk-ins.